This year I’ve been using Lisa Jacobs’ Your Best Year 2017 as part of my business goal-making and planning. It’s a great book, although I confess I haven’t been using it to its full potential. I’ve also been following Lisa’s blog and Instagram accounts for added inspiration and accountability. This afternoon I completed Lisa’s 2017 Mid-Year Review, and I decided I would share it publicly for that additional accountability. So here goes! 1. What feels good about the first half of 2017? What’s clicking? My Redhead Paper Etsy store is doing well. Sales are good and I have several repeat customers and all good reviews. Church is good. It keeps me accountable and honestly refreshes me every week. I’ve cut back on my alcohol intake this year as well as artificial sweeteners, dairy products, and soy products–turns out I feel much better all around with those changes. On a more personal note, my hairstylist Ashley is amazing, and my hair consistently makes me feel good. All of my Equus-related activities such as the Equus Battle Royale and the upcoming blog tour are really clicking too. My fiction writing. I’m SO behind schedule. I need to catch up, and I need to get ahead. On a personal level, I’m not getting enough physical exercise. I haven’t been hiking enough, and I would really like to get back to doing some weight training. I’d still like to publish the three novels I had planned to publish this year. I’d also like to hit at least $1000 in Etsy sales for the year. Write. Every. Day. I need to avoid extraneous commitments and do a better job of posting over at the Redhead Paper website and social presences. I’m playing games on my iPad most evenings, and while mindless fun is fine in small doses, I’m not limiting my time at it. (Does anyone else find Seeker’s Notes addictive? Just me? Ugh.) For both financial and health reasons, I want to stop eating out so often. 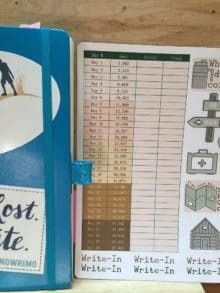 I also want to stop migrating tasks in my Bullet Journal from week to week. I need to stop procrastinating. And finally, I need to spend less time clicking around on the internet. 1. What activities, products, actions, or ideas are working for you this year? Bullet Journaling. Time blocking. Prayer. The prayer is an essential part of my mental and spiritual well-being, and while I don’t think I spend enough time praying regularly, I’ve definitely improved over last year, and I want to continue improving. I rely on my Bullet Journal to keep track of everything I need to get done, and I’ve ended up also relying on the free time-blocking printable that I created. When I make a point to block out what I need to do for the week, a lot more of it actually gets done. 2. What was your best creative business payday? What products or services are selling well? What actions bring subscribers, fans, and followers? 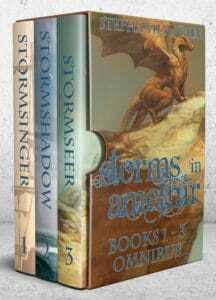 Releasing my Storms in Amethir Omnibus #1 was definitely a popular move. Creating my Bullet Journal stickers to sell on Etsy was also a good idea; while my political stickers have been popular, the Bullet Journal stickers have been a much more consistent seller. My date stickers, mini calendars, month tabs, and US states visited map sticker have all been the best sellers. As far as what brings new followers, creating new products and posting on Instagram have done the best for me there. I’m pretty sure that if I released another novel, it would also have the same effect. 3. What isn’t working? What’s costing time and money without generating a return? I have a membership in a couple of specialized marketing groups, and so far I’m spending money on them without getting much use out of them. In addition, doing newsletter swaps with other indie authors has done well for those other authors, but I haven’t seen any increased sales or reader interactions from them. This really surprised me, so for now I’m going to focus on the people who are subscribed to my newsletter. 4. What do you want MORE of in the second-half of 2017? Etsy sales. Book sales. Amazon reviews. Sticker ideas. Writing time. 5. How might you change your approach going forward? Put the writing first. Business can come second. I need to post every day on Instagram and Facebook. I need to exercise regularly so I feel better and my mind is more flexible. And finally, I need to consume less and create more. It seems incredible that it’s almost July already. I’m feeling a lot of anxiety and guilt over the fact I haven’t finished The Weather War on schedule, but I also don’t want to release a sub-par story just to get it out in public. I know that there are people who care about these characters, who want to know what happens with Lo and Arama, who want to know how Azmei and Vistaren work out their unique political/marital situation. I have plans for all those characters and more, and in order to move forward, I have to let go of the guilt and embrace my passion for this story and these characters. I promise you, this is going to be my best novel yet!